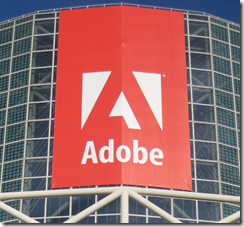 Although this seems like a major shift in strategy, Adobe has been moving in this direction for some time. At the MAX conference last month the company was clear that most web developers can be expected to use HTML 5 rather than Flash most of the time, reserving use of the plug-in for video, games and certain kinds of application. As for mobile, all the talk was about AIR and the captive runtime, an approach similar to the iOS packager which bundles the Flash runtime into your application so that no plug-in or additional download is required. This approach is now explicit, and I reckon we can further conclude that if the Flash plugin for mobile is being abandoned, then the Flash plugin for the desktop is also less important than before. Mobile browsing is huge, and likely to grow, so developing web pages for Flash is unattractive other than in cases where there is an easy way to direct mobile browsers to a non-Flash alternative. Flash as a browser plugin will now decline forever, which is a good thing for web standards even if it is not necessarily a good thing for web developers, who must face the challenge of cross-browser development. 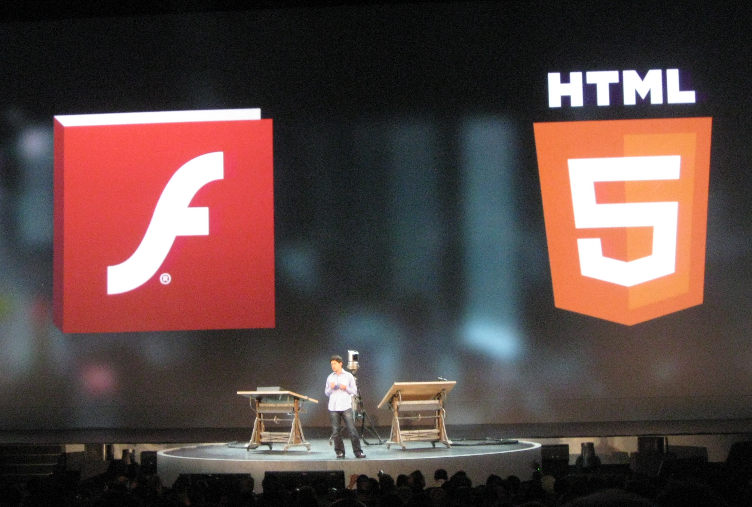 See also my piece for the Register: Down but not out: Flash in an HTML5 world. 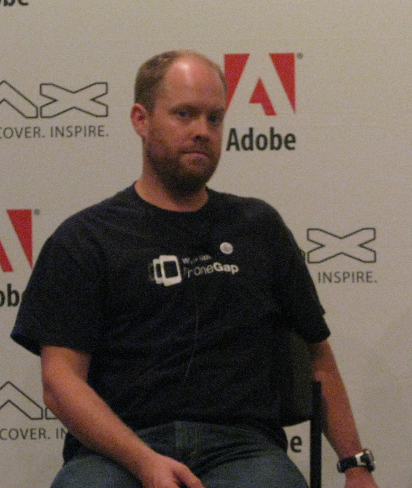 Update: Added official Adobe link for statement on mobile Flash. 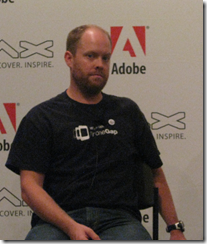 The unstated theme of Adobe MAX 2011 last week was this: what is the future of Flash? The issue being that with HTML 5 ascendant and Apple wrecking the idea of Flash as an ubiquitous web plug-in, should Adobe be frantically retooling its design tools for HTML and apps, or does Flash still have a future? The answer is a little of both; but let’s be clear: there was more Flash than HTML at MAX. What was the most eye-catching demo? It was Flash running Unreal Tournament with the claim of better graphical performance than on Microsoft Xbox 360 or Sony Playstation 3. 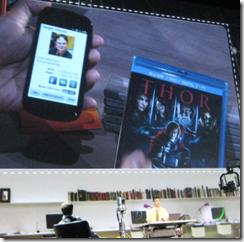 It is also worth noting that the touch apps demonstrated at the day one keynote were created in Flash and compiled into apps using the new Captive Runtime feature in AIR 3. 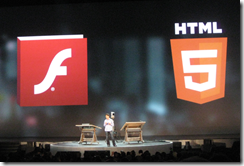 My perception is that while Adobe is serious about stepping up a gear with its HTML tools, its heart is still with Flash. That said, there is a shift of emphasis away from Flash as a web plug-in, other than when it is the “Games console of the Web”, and towards Flash and Flex as a cross-platform development platform. 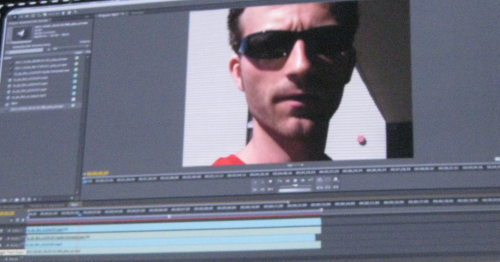 Adobe is using Flash and AIR for its own Touch apps, previewed at MAX. Let me add that the new features in AIR are huge, in particular the ability to package the Flash runtime as part of your app, called Captive Runtime, and the ability to extend your AIR app with native code. 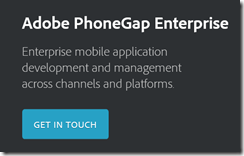 Cross-platform mobile tools are a particular interest of mine, and Adobe’s offering is strong in this field, though it will never be the most efficient. 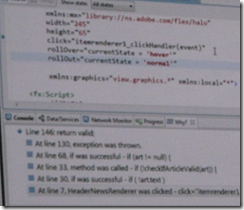 Adobe is also pressing ahead with something like web workers for ActionScript, providing a form of concurrency, though this is not in AIR 3 but planned for a future release. 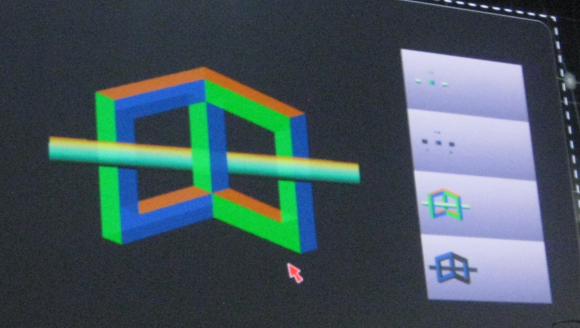 Another big new feature in the Flash runtime is Stage 3D, accelerated 3D graphics which enabled the Unreal demo mentioned above. Nitobi’s Andre Charland was at MAX and I could not shake off the thought that he will find joining the Flash company difficult. 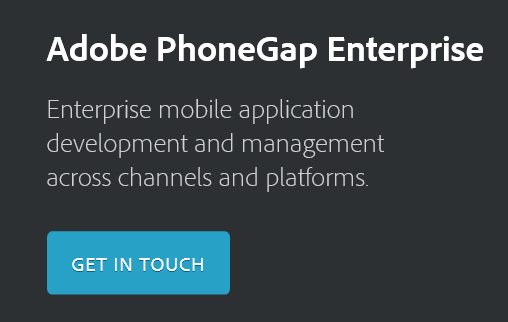 It will be near-impossible for Adobe to be equally enthusiastic about both PhoneGap and AIR, and given that Flash and AIR are so deeply woven into the company’s products I suggest that PhoneGap is more likely to be neglected. Take a look at Adobe’s agenda for the Back from MAX event in London next month. It is 100% Flash and Flex. 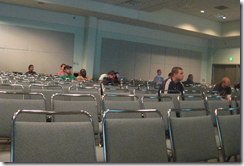 That said, a session on native extensions for AIR was moved from one of the smallest rooms to one of the biggest and was still full. 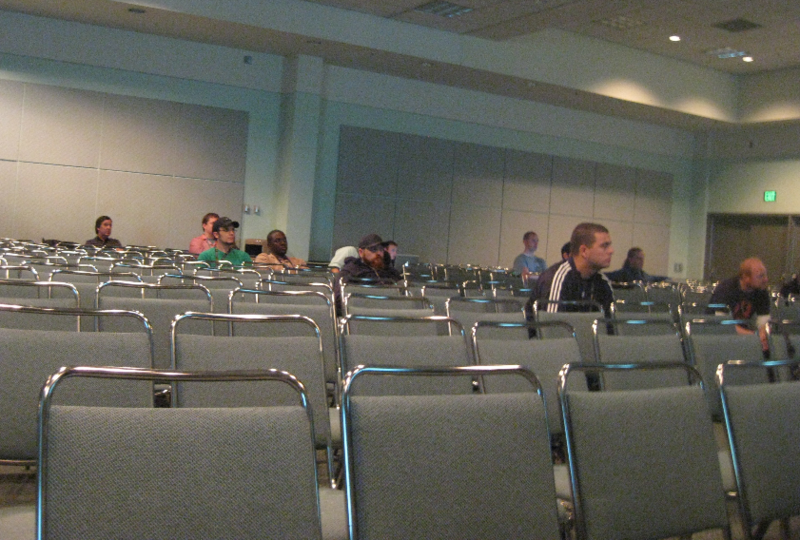 There was also great interest in concurrency in the Flash runtime. Many of the attendees I spoke to saw themselves as Flash and Flex developers and there was more talk about how to fight off the perception that the tech world is moving to HTML, than of how to encourage it. Getting rid of Flash may seem like obvious progress to someone annoyed by the Adobe updater, or who is an Apple iOS enthusiast, or who does not like the idea of proprietary plugins. It does not feel like that though if you have a browser-hosted app to maintain and enjoy targeting a single runtime rather than testing in every browser, as well as using features of Flash that are hard to replicate in HTML. 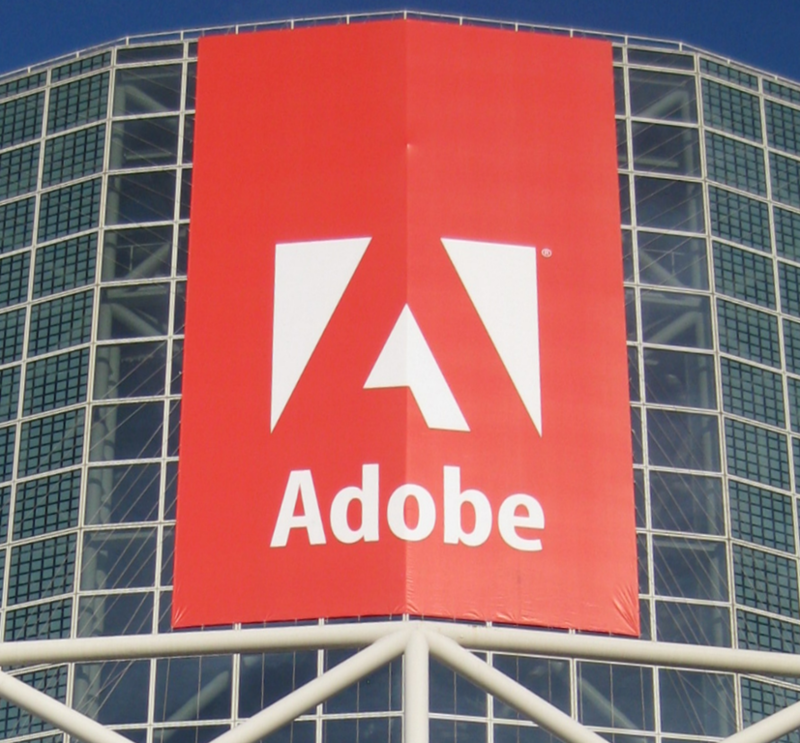 Adobe’s design and development platform is still Flash-centric, which is either good or bad news depending on your perspective. 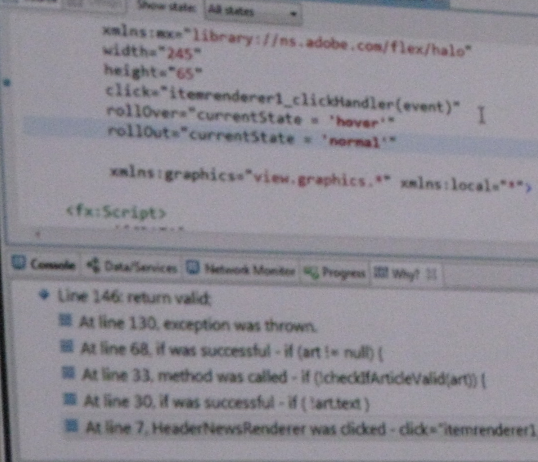 See also Down but not out: Flash in an HTML5 world. 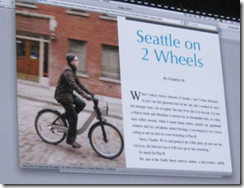 The Sneaks session at Adobe MAX is always fun as well as giving some insight into what is coming from the company, though note that these are research projects and there is no guarantee that any will make it into products. Customers demand … that the little Adobe Acrobat update pop-up window just go away for a while, go the way of the Microsoft paper clip Clippy, the customer is demanding right now. I’m tired of clicking No No No No No. I only read a PDF occasionally, he said. 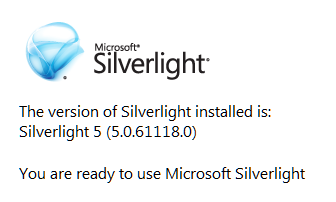 We all know the reasons for that updater (and the one for Flash), but he is right: it is a frequent annoyance. What is the fix? There would be some improvement if Adobe were to make a deal with Microsoft and Apple to include Flash and Adobe Reader servicing in system update mechanisms like Windows Update, but beyond that it takes a different model of computing, where the operating system is better protected. It is another reason why users like Apple iOS and why Microsoft is building a locked-down Windows client for ARM. Now, on to the sneaks. We are used to the idea of layer ordering, but what about a tool that lets you interleave layers, with a pointer to put this part on top, this part underneath? You can do this with pieces of paper, but less easily with graphics software, at least until Local Layer Ordering makes it into an Adobe product. The use case: you have a video with some speech, but want to re-record the speech to fix some problem. In this case it is hard to do it perfectly so that the lip synch is right. 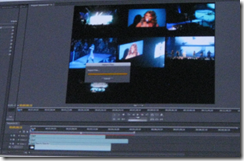 Project rub-a-dub automatically modifies the newly recorded speech to align it correctly. This one is for the InDesign publishing software: it is about intelligent layout modification to deliver the same content on different screen sizes and orientation. I was reminded of the way Times Reader works, creating different numbers of columns on the fly, but this is InDesign. This one struck me as a kind of video version of PhotoSynth, where multiple views of the same image are combined to make a composite. This is for video and is a bit different, in that it does not attempt to make a single video image, but does play synchronize multiple videos with a merged soundtrack. We saw a concert example, but it could be fascinating if applied to a moment of revolution, say, if many individuals capture the event on their mobiles. 5. 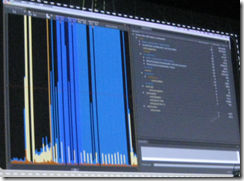 Smart debugging – how did my code get here? 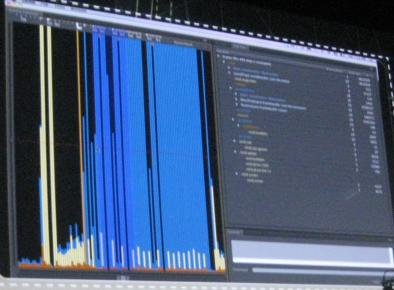 This is a debugging tool based on a recorded trace, letting you step backwards as well as forwards through code. 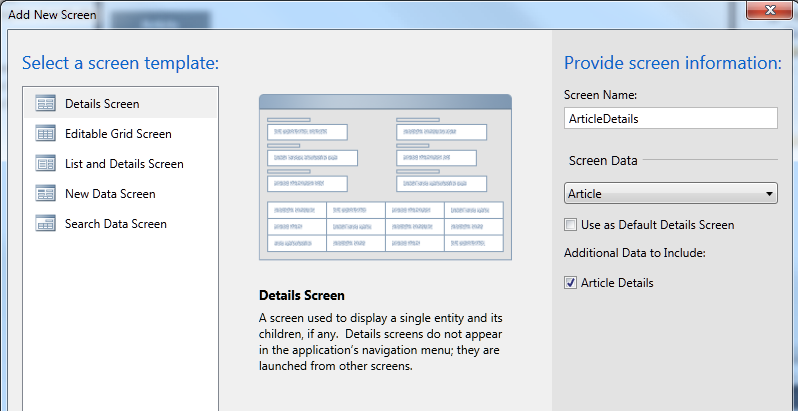 We have seen similar tools before, such as in Visual Studio 2010. Another facet of this one though is an English-like analysis of “how did my code get here”, which you can see if you squint at my blurry snap above. 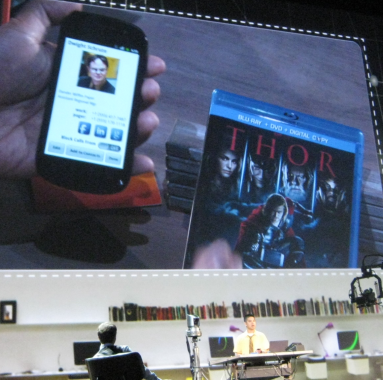 This demo showed near-field communications for Adobe AIR for mobile. We are most familiar with this for applications like payments, where you wave your mobile at a sensor, but it has plenty of potential for other scenarios, such as looking up product details without having to scan a barcode. 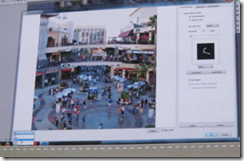 The idea of this one is to identify “like” images by searching and analysing a collection. For example, you could perhaps point it at a folder with thousands of images and find all the ones which show flowers. In this demo, Deepa Subramaniam showed what I guess is a kind of profiler, showing a visualization of where your code is spending its time. My snap does not capture this well, but it was amazing to watch. As I understand it, this is software than analyses a video to get intelligent understanding of its objects and perspective. 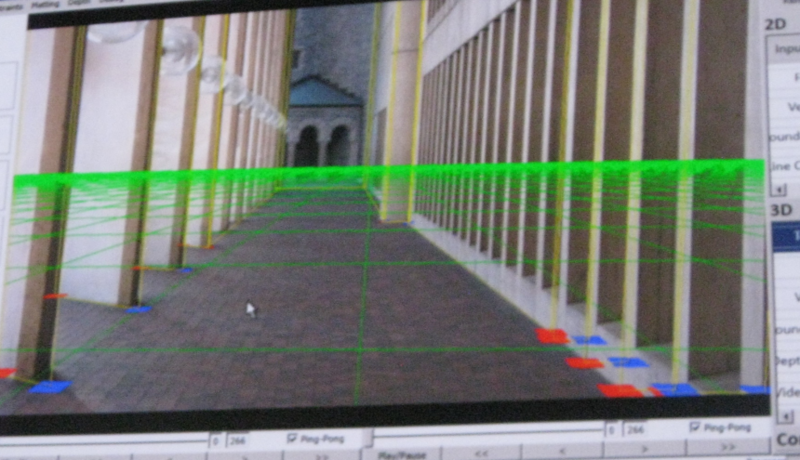 In the example, we saw how a person walking across the front of the screen image could be made to walk more towards the rear, or behind a pillar, with correct size and perspective. 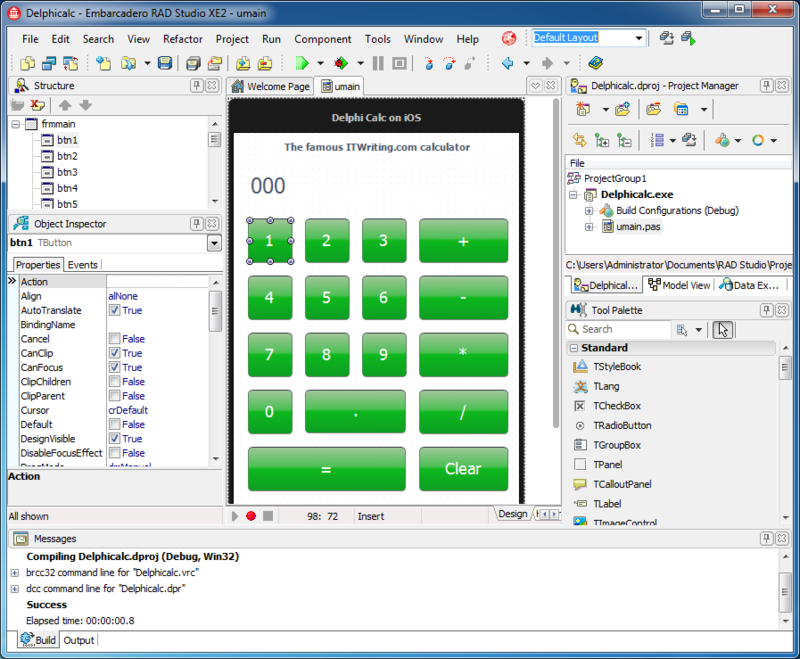 This demo used a native extension to perform intensive calculations using GPU parallelism. We saw how an explosion of particles was rendered much more quickly, which of course I cannot capture in a static image, so I am showing Adam Welc’s lighthearted intro slide instead. 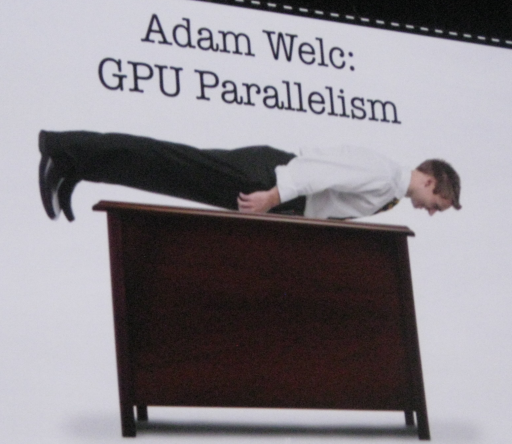 I am a fan of general purpose computing on the GPU and would love to see this in Flash. This is a feature that I’d guess will almost certainly show up in Photoshop or perhaps in a future tablet app: take an out of focus image and make it an in-focus image. The demo we saw was an image suffering from camera shake. 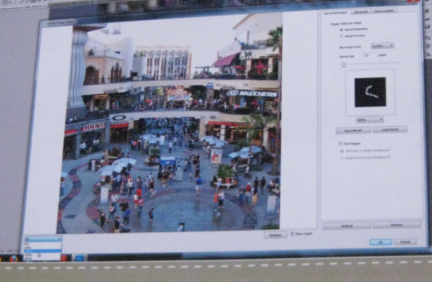 The analysis worked out the movement path of the camera, which you can see in the small wiggly line in the right panel above, and used it to move parts of the image back so they are properly superimposed. I would guess this really only works for images out of focus because of camera shake; it will not fix incorrect lens settings. I have also seen a similar feature built into the firmware of a camera, though I am sure Photoshop can do a much better job if only because of the greater processing power available. This was a big hit with the MAX crowd though. Perhaps most of us were thinking of photos we have taken that could do with this kind of processing.